Here are some of the top open source performance testing tools you can use for your load test and stress test software performance testing efforts. Below are some options that include a performance testing tools comparison to help you make your decision on what tool to use for your testing. I think that JMeter is the most popular open-source tool in the load testing space. Apache JMeter describes itself as a Java application that was designed specifically for load testing with the ability to measure performance. JMeter was built to pretty much be the open source alternative to Load Runner, so you’ll find it has lots of sophisticated features. It’s a thick client Java app that’s largely driven by right clicks. It’s a little weird, but it’s got a lot of power. Also, all the features a professional load tester wants are available on JMeter. Although JMeter is one of the more popular test tools, it does have some shortcomings. For instance, JMeter can be a bit difficult to scale for a large distributed test; especially if you have to set up a bunch of machines since you have to configure them to talk to each other. There is also a host of orchestrating problems in executing large JMeter tests. That’s where a tool open sourced by BlazeMeter—Taurus—can help you out. The power of Taurus is that it allows you to write your tests in YAML. You can actually describe a full-blown script in about ten lines of text, which gives teams the ability to describe their tests in a YAML or JSON file. The YAML is a human, readable, edible approach that enables you to describe a test in a simple text file. This is a big leap forward from the old days of having to bring up a big, heavy vendor-specific record and scripting tool. This should also allow more members of your team to contribute to performance tests. Also, since your test cases are written in YAML the tests are much more readable, making them easier to perform code reviews on. Taurus basically fits performance testing into your CI/CD pipeline much more efficiently. Taurus provides a sort of abstraction layer on top of JMeter, as well as some other tools like Locust, Gatling, the Grinder and Selenium. It currently has 424 stars on GitHub. Locust is a simple-to-use, distributed, user load testing tool. It is used to help load test websites or other applications. Locust can also help you figure out how many concurrent users a system can handle. If you’re familiar with the term “load generators,” Locust uses the term “swarm”–as in you can point a swarm of locusts to put a load on your website. You can define the behavior you want for each of your Locust instances. It also gives you the ability to monitor the swarming process from a web UI in real time. It currently has 5,581 stars on GitHub. Fiddler enables you to do many things, but it’s probably best described as a packet capture tool. Fiddler is a free, open-source tool that allows you to monitor, manipulate and reuse HTTP requests. Fiddler does many things that allow you to debug website issues, and with one of its many extensions, you can accomplish even more. Fiddler is already a pretty popular tool among developers. Many use it for debugging to view the HTTP requests their computer is sending to a service or website. Todd DeCapua recommends using Fiddler with Watcher and BlackWidow to create a quick-start automation testing performance solution. Watcher is a security add-in for Fiddler which will enable you to get some security results quickly. BlackWidow is a web crawler that gives you the functionality to point it towards a web address and then be able to drill down on results. For someone who’s just getting started in performance engineering, these three tools working together can provide a great way to get that free look and feel as well as results that one might not otherwise be able to obtain quickly. 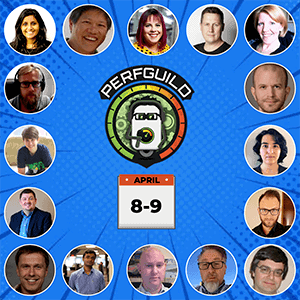 Todd actually has a session during this year’s PerfGuild Online Conference where he gives a demo of this approach. nGrinder‘s GitHub page describes it as having been designed to be an enterprise-level performance testing solution. It was developed to make stress testing easy and to provide a platform that allows you to create, execute and monitor tests. You can write your tests using Jython to create test scenarios and create stress against JVM using multiple agents. It currently has 415 stars on GitHub. The Grinder is a Java load testing framework. It provides you with an easy-to-run and -create distributed testing solutions using many load injector machines. Gatling is a stress tool built on Scala, Akka and Netty. It allows you to test and measure your application’s end-to-end performance. It has a simple yet powerful DSL. If you’re into Scala and the benefits it brings, this is the load testing tool for you. It currently has 3,062 stars on GitHub. To learn more about Gatling check out the Founder of Gatling Stephane Landelle’s PerfGuild session on Load Testing Done Right with Gatling. 2,893 stars on GitHub at the time of this writing, I had to include it. k6 is a developer-centric, open-source load testing tool for testing the performance of your back-end infrastructure. Tsung is an open-source, multi-protocol distributed load testing tool. It currently has 1,281 stars on GitHub. Siege is a command-line HTTP load testing and benchmarking utility. It was designed to help developers measure their code under stress. Supports basic authentication, cookies, HTTP, HTTPS and FTP protocols. It currently has 1,765 stars on GitHub. Developed by the Chicago Tribune, this is probably the coolest-sounding performance testing tools on this list. Bees with Machine Guns describes itself as a utility for arming (creating) many bees (micro Amazon EC2 instances) to attack (load test) targets (web applications). This tool can easily help you load test a site that needs to handle high traffic. It currently has 3,783 stars on GitHub. For enterprise-wide performance testing tools, LoadRunner tends to be one of the most common but many of these open source tools can get you most of the functionality you need. Also, most of these tools protocols can be used for both performance testing web application and performance testing web services. These are, in my opinion, the top ten performance testing tools free options. As always, choosing the right performance testing tools for your team’s stress and load testing needs depends on what you need to test. Happy performance testing with these stress testing and load testing tools!